In a rut with your fitness routine? 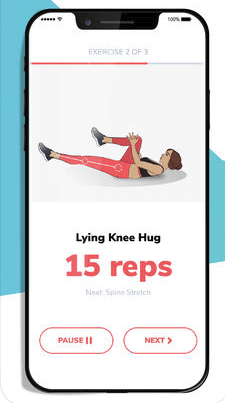 If you’re tired of doing the same thing over and over or are worried you’re not pushing yourself hard enough, the BetterMe: Weight Loss Workouts app is the perfect solution. The app will provide you with detailed workout and meal plans that are completely customized for your personal goals. 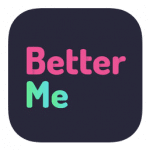 So whether you want to lose weight or have a more toned body, the BetterMe app can definitely help! There are a few easy steps you’ll need to take to get started with your fitness routine overhaul. First, download the app from the App Store or Google Play. You’ll have a free, seven day trial to start with, which includes access to all of the app’s features. If you decide you’d like to continue after the first week, you can pay per month for your subscription or a one-time flat fee of $59.99. Then, you just need to answer some simple questions, like your age, weight, and dietary preferences. You’ll also need to note what your personal goals are, which parts of your body you’d like to focus on, what your preferred intensity level of exercise is, and how often you’re physically active. Your answers to these questions will help the BetterMe team of experts determine exactly what foods and exercises you should be doing to reach your goals. Once you get your customized meal plan and fitness routine, you’ll be able to get on track in no time. The detailed meal plan means you’ll never have to figure out which particular foods to be eating for each meal. You’ll also step up your fitness game by following the specific workouts you need to do to target your problem areas. There are handy instructional videos that will ensure you’re doing all of the exercises correctly, so you’ll always feel like you have the perfect amount of guidance to increase your fitness abilities. The BetterMe app also provides helpful support by sending you reminders and tips to keep you motivated throughout the week. The only complaint you might have is if you want a ton of variety during the week with your recommended foods and workouts. The weekly plans are pretty strict, so they don’t allow for a lot of flexibility. However, if rigidity is what you need to actually step up your fitness game and to start eating more healthily, then the BetterMe app is an ideal option. Become a master of fitness by downloading the BetterMe app today!